I began to compile this book list of fiction about homeschooling when my children were old enough to realise that most children 'go to school' - and began to ask for stories about children like themselves. We haven't read everything on this list, but I have put a review where I could. Lexi's Homeschool Diary by Cheryl and MacKenzie Moeller. This e-book is one of the first to feature modern-day homeschooled characters. It's an 85 page heart warming account of Lexi and her homeschool family, told through the perspective of her colorful and imaginative diary entries. This would also be a great way to introduce the concept of Journals. and is by Wendy Orr. It is about a girl living on a remote island with her father. Her schooling had definitely been 'autonomous', but it is made clear that she is bright and well able to take care of herself. My older son has loved it and we hope the film is as good! The Lost Da Vincis by Don and Aneladee Milne. Written by homeschooling parents who were fed up not finding great fiction about homeschooling. Read what they say about The Lost Da Vincis. Pippi Longstocking by Astrid Lindgren. Pippi is an unschoolers dream - as well as being the strongest girl in the world. Who couldn't love this bright, happy and adventurous girl! She does actually start school in one book, but the poor teacher asks her not to come anymore (until she is older!). Danny the Champion of the World by Roald Dahl. Danny is actually kept at home initially. In the words of his father "You will need a really good education. But I don't want to send you to school quite yet. In another two years you will have learned enough here with me to be able to take a small engine completely to pieces and put it together again all by yourself. After that, you can go to school." We loved the story and ate pheasant as part of our Home School Cooking sessions. "Eight-year-old Hope Brown and her little sister, Annie, love to travel, and because of their dad's job, the two home-schooled girls have lots of opportunities. Join the fun as they visit exciting countries and meet inspiring Christians from all over the world. In Adventure in the Caribbean, Hope and Annie take a trip to sunny Antigua in the West Indies. There, the sisters make a new friend a young Antiguan girl named Zoe. When Zoe and the girls discover a hidden map, they set out on an exciting search for treasure. Will they find it before the Browns have to go home?" 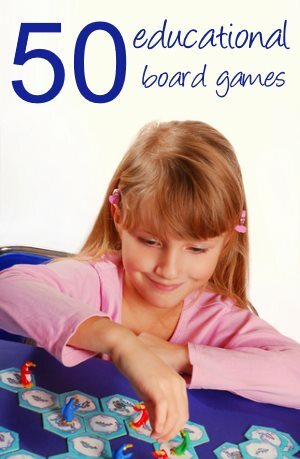 Kandoo kangeroo hops into homeschool by Susan Ratner. Mother Kangeroo begins to home school her six year old. Chicken Friend by Nicola Morgan. Becca's family decide to move to the country, homeschool their children and raise chickens. Becca thinks this, plus the fact she has diabeties, a major obstacle to making new friends. Ida B: and her plans to maximise fun, avoid disaster, and (possibly) save the world by Katherine Hannigan. A family illness forces Ida out of an idyllic homeschooled life and back to school. The following are not strictly about homeschooling, but they get a mention because they show different ways of learning. Hooray for Diffendoofer Day! by Dr. Seuss. Diffendoofer school is no ordinary school - it teaches "how to tie knots in neckerchiefs and noodles, how to tell chrysanthemums from miniature poodles". But most of all - it teaches the students 'how to THINK'. I felt this book really highlighted the difference between a regimented education, and one that allows the child freedom to cover many subjects. We really enjoyed it. Chitty Chitty Bang Bang by Ian Fleming. The children here roam freely - but actually are truanting (with the blessing of their inventor father!). We did enjoy this but I think Truly Scrumptious will have them both back at school the minute you turn the last page!! Understood Betsy by Dorothy Canfield. This is a really lovely book! When Aunt Harriet becomes seriously ill, her orphaned niece has to be sent from her city home to "those horrid Putney cousins". In the country air where she is expected to do chores and where she can romp around and play with the animals, Elizabeth Ann becomes Betsy, a robust and happy girl. I particularly liked her realisation in the kitchen (as she watched her aunt churn butter), that history was 'REAL' - and not just something you learned out of a book. Swiss Family Robinson by Johann David Wyss. Treasure Island by Johann David Wyss. Mary Poppins by P L Travers. I am still working on my fiction about homeschooling list but I have a further list (without reviews) on this page. If you can recommend any great childrens books to add to my fiction about homeschooling list, I would love to hear from you. 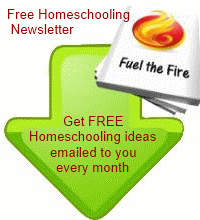 Wondering how to really get started with homeschooling? Here is my advice on how to start home school.